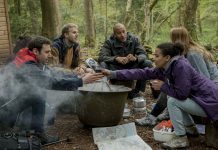 Camping is a great outdoor activity, whether with friends or with family. Although camping is supposed to take one closer to the nature, there are some comforts one can’t do without. 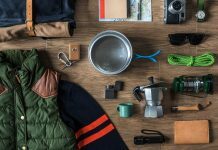 Here is a list of top 10 practical camping furniture that will help make your camping trip comfortable. 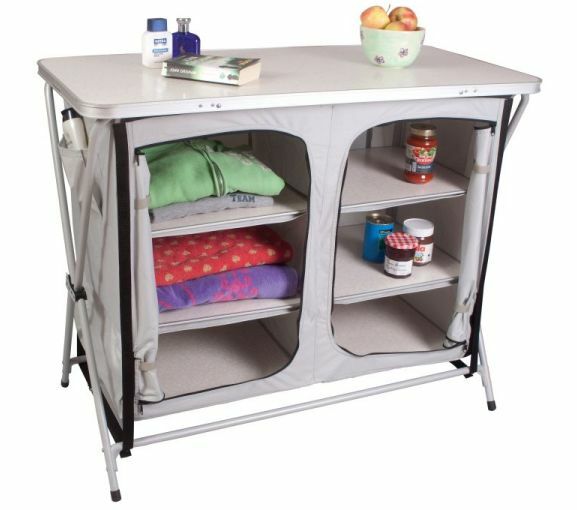 This camping furniture is perfect to help keep your clothes or your food properly organized during a camping trip. The Zara express cupboard is easy and quick to set up and dismantle. There are no loose parts to lose or place wrongly. The wardrobe has six shelves inside it, all edged with aluminum for strength. It is provided with rear ventilation that is protected with mesh. The shell is made of lightweight aluminum that is coated with heavy duty PVC. Its attractive colors suit most décor and it comes with it sown sturdy carry bag. When packed it measures 11.5x13x58 cms. It weighs a little less than 12 kgs and also has a multipurpose tabletop measuring 110×54 cm. This is a lightweight kitchen unit that can be adjusted to use. It is easy and quick to assemble. The cabinet has a 25mm aluminum frame with a hardtop work surface. It is provided with wind guard for easy use. The feet can be adjusted for comfortable use on uneven ground. The cupboard storage body is made of 600D polyester. The shelves are adjustable and the cabinet has storage pockets for added convenience. It can be folded to occupy minimum space and weighs a little under 8 kgs. This is the perfect companion for your young kids on a camping trip. Available in attractive colors and designs the chairs have integrated cup-holders. Made of 13X10 steel frame and 600D PE Coated polyster body, the chair comes with its inbuilt safety lock. It weighs around 4.6 kgs and can be packed into its own bag. Your child can also pick from a green frog chair, pink pig chair and yellow duck chair. This is a great addition for all outdoor activities. They are useful for caravanning, camping, tent flooring, marquee/gazebo flooring, pathways, caravan flooring, emergency flooring, children’s play area, green house, garden sheds, gym/sports floor, swimming pool decks and any other place you may need them. The kit consists of 4 tiles each measuring 61x61x1.2cm and 8 nos. of edgings. It is made of strong EVA material (closed cell pattern) with a non-slip finish. The tiles can be linked to form mats of desired size that can be easily used on hard or soft surfaces. They can be used both indoors and outdoors. 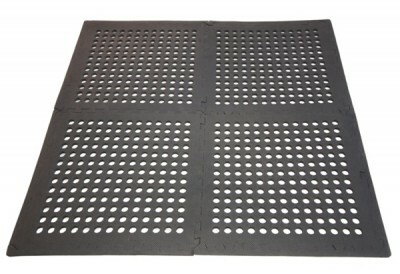 The mats are hard wearing UV stabilized and rot proof. This is the perfect outdoor accessory irrespective of weather. It lets you enjoy the outdoors be it rain or shine. It is made of waterproof 75D Polyurethane coated nylon. 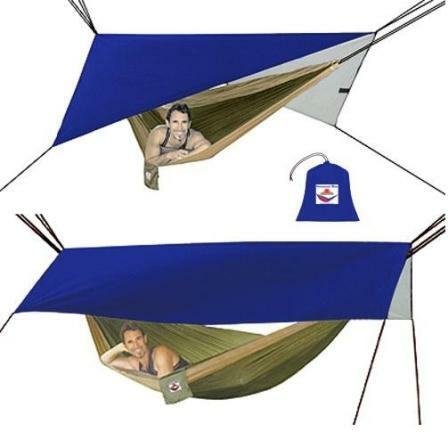 The waterproof hammock comes with a shelter that can be used during rain or sun; it can also help protect your gear. The hammock has dual color. The white side reflects the sun and the blue side repels the rain. The hammock can be hung in a diamond shape or as a rectangle when maximum protection required. Each of the six attachment points is provided with 100 inches of cord. It is 136”x 120” x 68” and a mere 8”x9” when packed. It is very light at 16 ounces. 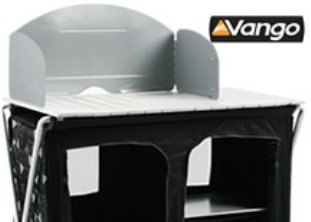 This camping furniture will help make cooking easier when outdoors, camping or tailgating. The heavy-duty aluminum frame has channel-extruded metal for extra strength and is rust resistant too. 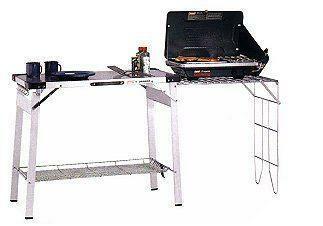 It has leg braces for extra stability and a side extender shelf that makes it right for almost any type of stove. It comes with corner plastic guards for protection during transport and it provides additional storage with chrome plated wire hooks. It weighs 21.5 pounds and is easily folded for convenient transport and storage. When open it measures 27”x21.25”x5”. This bed ensures that you have a good night’s sleep after a tiring day outdoors. When on an adventure holiday like a road trip or camping, it is essential that you get good sleep so that you are ready for the next day’s adventures. A tired body will not let you enjoy your trip. 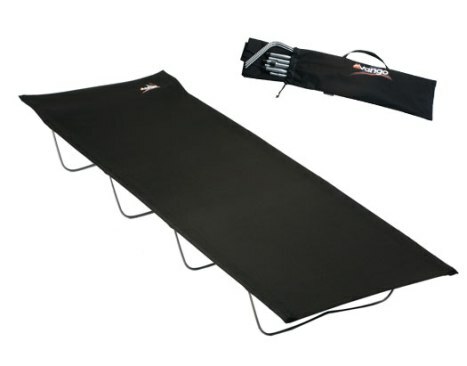 The lightweight camp bed is made of 600D polyester and has a steel tube frame. It has four legs to keep it off the ground. It folds to fit into its own carry bag. It is compact to make storage and transport easy. It is just right to keep toddler tantrums at minimum. 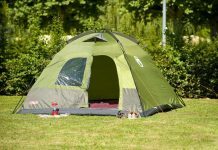 Camping or for that matter any outdoor holiday can be quite taxing with a young child. One needs to take care of their comfort and also keep them in a good mood. The pink Dotty Chair from SunnCamp is the perfect antidote for tantrum prone kids. They will be too happy to use a comfortable and pretty chair like this. It has a strong steel frame and pink dotty fabric. It is foldable and comes with its own carry bag and its size is 40 cm x 38 cm x 25/61cms. This is the stylish way to relax after a good day of outdoor activities. It is also perfect to sit in and watch the sun set or rise with a hot cup in hand or maybe a cold beer. It lets you relax with its three different positions and keeps your drink hot or cold in its integrated insulated cup holder. 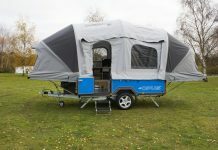 It has a 16mm steel tube steel frame and it is compact and foldable. 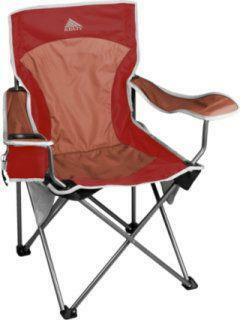 It measures 55x55x43/80 cm and the seat is made of 600D polyester and is padded with foam. The armrest is comfortable and has an integrated insulated cup holder. It comes with its own carry bag that can be stored in a pocket behind the backrest when the chair is in use. Quite handy, isn’t it? 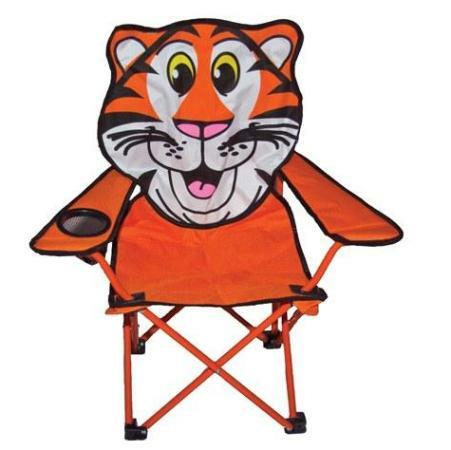 This chair is the comfortable way to relax. It has a unique adjustable cup holder and is made of 16mm steel tube frame. It has adjustable arms and is PVC free. It has mesh pockets at the side and a seat pocket too but also reflective accents and a deluxe carry bag. 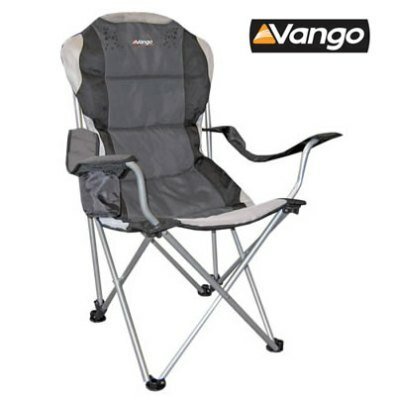 Make sure you choose suitable camping furniture to make your outdoor adventure fun and comfortable.